Ladies and Gentlemen! The time has arrived! 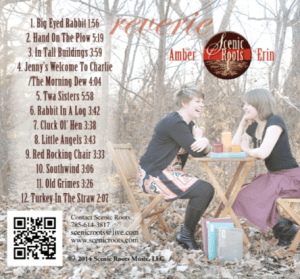 Scenic Roots is now accepting pre-orders for our latest CD– REVERIE! The CD is at the replicator right now, so we should have the hard copies in our hand by the end of May. If you order REVERIE prior to its August 8th release, you will get an autographed copy mailed to your door just as soon as we have the CDs in our hand. (if you would like it autographed to a particular person, please indicate so in the shipping notes).